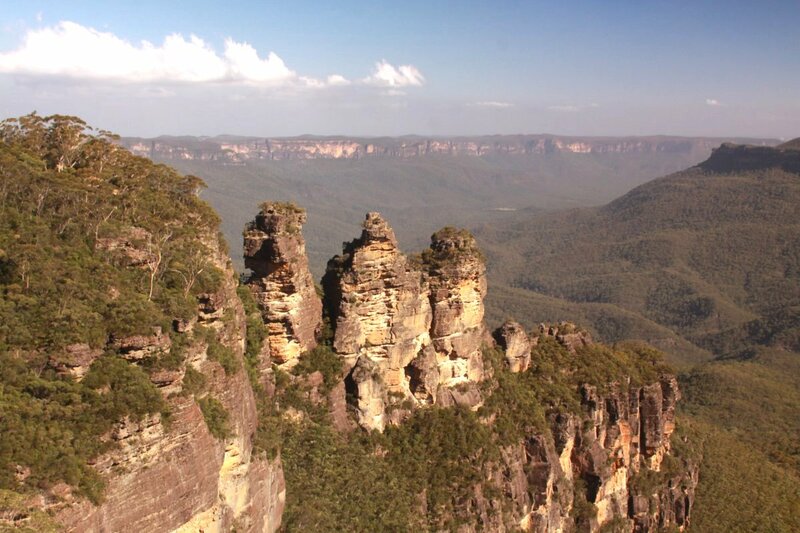 The Blue Mountains extend for over 400km in length and up to 70km in width. 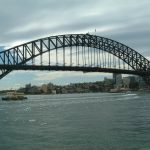 From Sydney public transportation takes about 2 hours to Katoomba (the main jumping off point for day and overnight visitors). 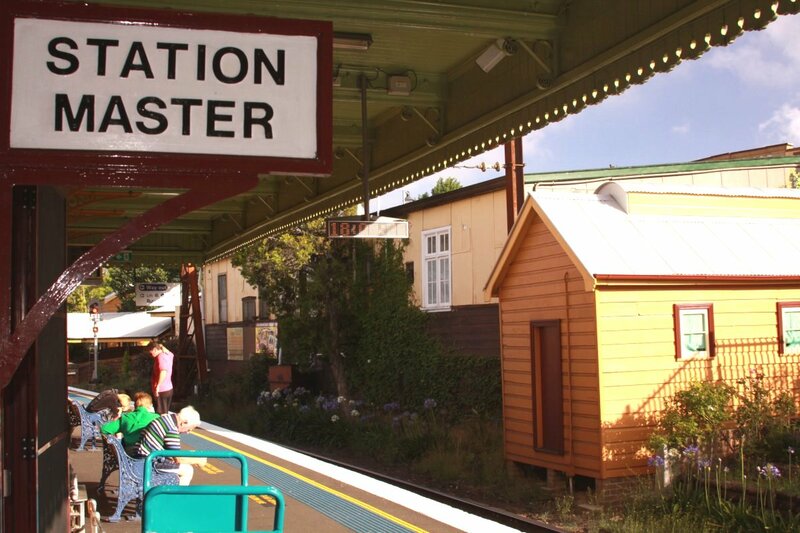 Catch the train from Central Station – trains usually leave every hour or less. 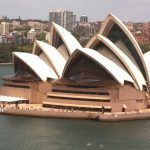 A visit here can easily be done in a day trip from Sydney (especially if you get an early start, 8-9am). 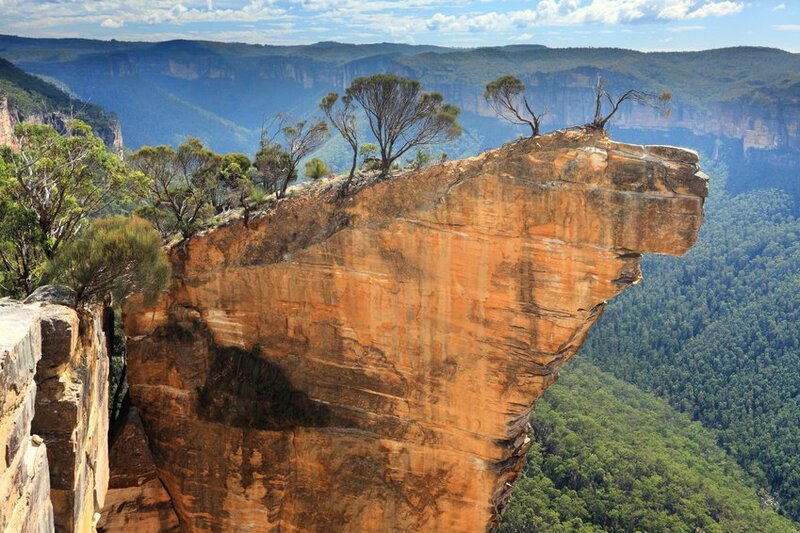 Katoomba is about 100 km west of Sydney. 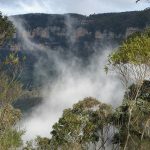 Katoomba is a picturesque mountain town full of B&B’s, small restaurants and during the summer season, a plethora of visitors. 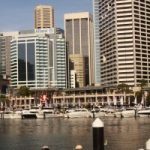 A number of attractions are located within a few minutes drive of town – you can see them all by using regularly scheduled buses which make all the rounds between the main highlights. 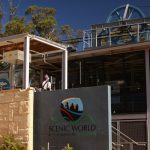 Places worth visiting in the area include Katoomba Scenic Point, the Katoomba waterfalls, Echo Point which affords one great views of the mountains and the Three Sisters – three prominent vertical rock formations. The Katoomba raised walkway is a 2.4 km raised boardwalk that meanders through pristine rainforest. You can take a cable car back up the mountain after visiting the walkway. 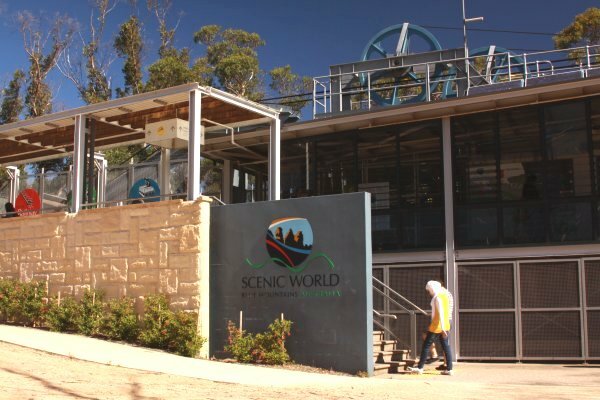 The Blue Mountains are also home to the world’s steepest cable-driven funicular railway (up to 52 degrees!). This hair raising ride is short – lasting about a minute or two as the total length is just over 400 meters. This part of the Blue Mountains was originally mined for coal and shale and the railway was originally built during that time. Remnants of the mining industry including a number of pieces of black coal can still be seen below the railway.